Last month we had a trip to kodaikanal and we ordered this uthappam for breakfast in a restaurant.We loved it very much because the taste was something different from the usual ones. I usually make onion tomato uthappam sprinkling some pepper powder or finely chopped green chillies. 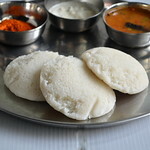 But in that dosa they sprinkled idli milagi podi and it was very nice with full of flavours.Also the tomato pieces were well roasted to black in color.The roasted tomato pieces had a nice flavour. Also the dosa was not too thick like our regular uthappam & above all not much oily . 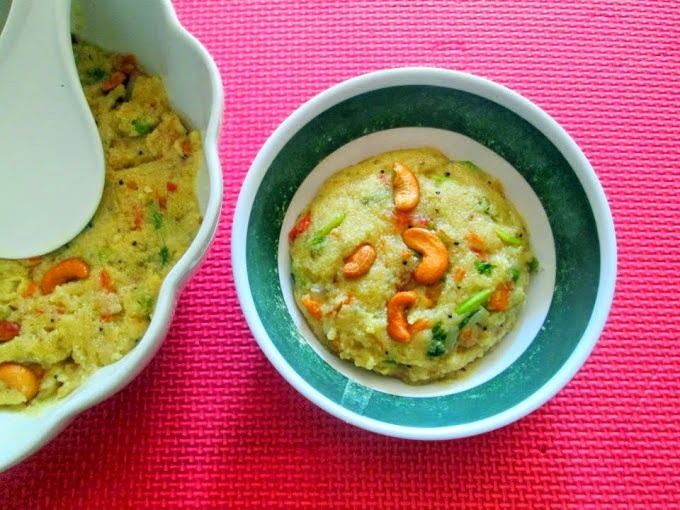 Overall i liked that dosa very much..Last week I tried the same in my kitchen with left over idli batter and i was happy i could bring in the same taste. 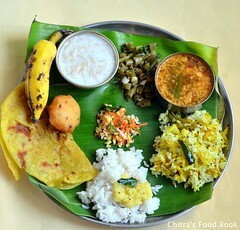 I think most of u know & make this combination at home.But still i am posting this recipe for beginners & bachelors .. So here is the recipe ..
As mentioned above , slice cut the onions , chop the tomatoes and curry leaves and set aside.Take the idli batter in a bowl and add little water( say 1/4 cup) to make it slightly thin..
Now sprinkle the sliced onions , tomato pieces and curry leaves all over the dosa .. Please do not add too much of tomato pieces..Add 4-5 small pieces for one dosa. Now sprinkle idli milagai podi all over the dosa and drizzle gingely oil in the sides as well as top of dosa.Let it cook for sometime in medium flame. Now flip the dosa carefully. Do not press the dosa..Keep the flame medium for a minute & then high for another minute for the tomatoes & onions to get cooked & roasted..Again add a drop of oil..Remove and serve.. 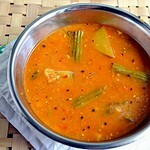 Serve hot with chutney !! As i mentioned in my Matka kulfi post , i love kulfi ice like anything.. Next to kesar kulfi , i love this milk kulfi (paal ice) ..When i was young I used to go to my granny’s place (Tirunelveli) for every summer vacation and i enjoy “cup ice , paal ice & kuchi ice ” buying from vendors selling in a small cart. Every time I buy two varieties , hold them in both the hands and lick them side by side.. ..Ok, coming to this post , I took this recipe from Spice india online. This recipe has milk and condensed milk. In the actual recipe , the quantity of condensed milk is more.But i wanted to use less condensed milk. So i used little corn flour to give the thickness..One sad thing is i couldn’t bring pure white colored ice cream .It was half white in color. The addition of condensed milk changed its color..But it tasted great..I was completely satisfied with the outcome ..Kids would love this sure. Even we adults won’t stop eating one .Sen loved it a lot & asked for more , hehe.. Dilute corn flour adding little milk . In a wide bowl , mix the boiled milk , condensed milk , sugar and diluted corn flour . Mix well till sugar dissolves.Boil this mixture for sometimes till the raw smell of corn flour emanates completely.. Mixture will also become slightly thick.Switch off the flame and add vanilla essence..
Let it cool completely. Then fill in kulfi moulds ,cover it with a plate or silver foil and freeze it overnight or minimum of 4-6 hours..The next day , take the mould and keep it immersed in water for few seconds..Kulfi comes out easily. Adding condensed milk helps avoiding the ice crystals form while freezing. It gives a creamy texture.. In this recipe i used milk and condensed milk in the ratio of 5:1.So i added corn flour to bring the thickness and sugar to taste. U can make this ice cream in a minute easily by just mixing the milk , condensed milk , vanilla essence and pour in kulfi mould directly without heating..But in this case , u should add milk & condensed milk in the ratio of 2:1..U don’t have to add corn flour & sugar ..
For making the same with kesar flavour , soak few threads of saffron in warm milk and add to the mixture instead of vanilla essence. It gives a natural yellow color to the kulfi.. I took this recipe from “The Hindu” food safari section and this is a fool proof recipe. Actually kulchas look very thick and round. I have made it thin to suit my husband’s taste. It was very soft and delicious when served hot. I dint follow tandoori cooking. I just used my tawa to cook this kulcha. Cook the kulchas till golden brown and brush it with butter. Sieve the maida and then mix it with the baking soda, baking powder, oil, yogurt, sugar and salt in a bowl. Add the warm milk and knead into soft dough. Make sure to add the milk gradually.Mix well & add water slowly.Do not make the batter sticky.Cover the dough with a damp cloth and keep aside for an hour minimum. For the Filling: Take mashed potatoes, chopped onions and green chillies, red chilly powder, cumin powder,garam masala masala , kasuri methi and coriander leaves in a bowl, mix everything and make medium sized balls and set aside. Take out the dough, make a medium sized ball, flatten it and place the potato filling ball in the centre. Fold this ball again into a ball, with the filling at its centre, and dust the dough with flour. With a rolling pin, flatten this ball out into a thick disc. 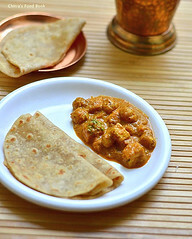 Heat few drops of oil in a deep frying pan, and gently drop the flattened kulcha in the hot oil. Cook on both sides until the kulcha turns golden brown. The kulchas are ready to serve! !.Brush it well with butter …It can be served with raita & pickle or punjabi chole. But serve it hot !! Soak basmati or jeera rice for 30 minutes. In a pan , heat a tbsp of ghee , add the cinnamon , cardamom , cloves , mace biryani leaf , pepper corns and shah jeera..
Roast them well and add to rice along with 2 cups of water and the required salt. 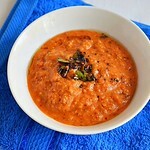 Serve hot with dal ! Punjabi chole should be dry , I made it slightly watery to suit our taste. 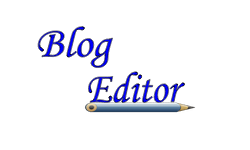 Please adjust the consistency as per ur wish. I used amchur powder instead of anardana powder. I heard adding anardana powder gives the exact flavour of chole. Try with anardana/ pomegranate seeds powder if you have it. Wash and soak the chickpeas with a pinch of cooking soda in enough water overnight or 8 hours.In a pressure cooker take the soaked chickpeas, enough water, salt, tea bag , 1 elachi , 1 small cinnamon and pressure cook for 5-6 whistles till the chick peas soft..Remove the tea bag , elachi and cinnamon.Drain the excess water which is called broth..set aside. In a pan, dry roast all the spices mentioned above till brown. On a slow or moderate flame you can roast the spices. Keep on tossing it otherwise they may get burnt.Once they are cooled, grind them into a fine powder. In the same pan, add oil. Once the oil becomes hot, add the chopped onions. Fry till they become transparent.Now add the crushed ginger paste.Once the raw smell of the ginger disappears, add the chopped tomatoes and saute till tomato turns mushy.. Add little salt so that the tomatoes gets cooked fast. Add the powdered spices to the mixture. Saute for a minute.Now add the boiled chickpeas with a little quantity of cooked water. You can add more broth if you want more gravy. Check for salt and simmer the gravy for 10 minutes..Finally, add the amchur powder.Garnish with chopped onions and cilantro leaves. 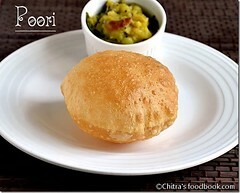 Serve punjabi chole with rice,kulchas, bhaturas & rotis along with sliced onions and lime. In a pressure cooker base take all the ingredients given above and cook it till the dal turns mushy.Open the cooker and mash everything well..Check for salt. Now temper all the ingredients given under “ To temper” .. Add to dal. 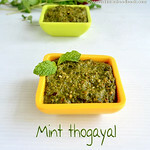 Garnish with coriander leaves and Serve hot topped with ghee ! I couldnt take step by step pictures for kadhi. 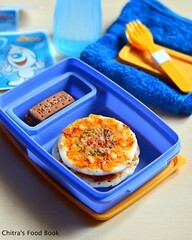 I’ll update it soon..Its very easy to make. It tasted yummy.. Beat the sour curd well with a whisk and all the ingredients given under “ for kadhi” to make a mixture. Add salt and water..
Now temper all the ingredients given under “ to temper” and saute well.. Then add the curd mixture and allow it to boil well. Be careful it will spill while boiling , so choose a big bowl and also simmer the flame. stand nearby and stir now and then. Simmer for 10-15 minutes until gravy becomes thick. Adjust the water if the gravy is thicker.. In the meantime , mix all the ingredients for pakoras and make a thick mixture. Deep fry them in batches and drop them in the dahi mixture. Boil for a few seconds and switch off the flame. Garnish with coriander leaves. 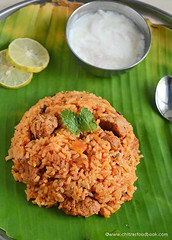 Serve with rice topped with ghee ! Take all the ingredients except malai and whip it well.. U’ll get a thick , frothy lassi. Serve it chilled adding malai on top !!. Garnish with saffron and nuts if necessary ..